Let me start this post, by saying that in my whole life I've never taken any vitamins or supplements of any kind, as I think as long as you eat healthy, you can get the majority of things with food. 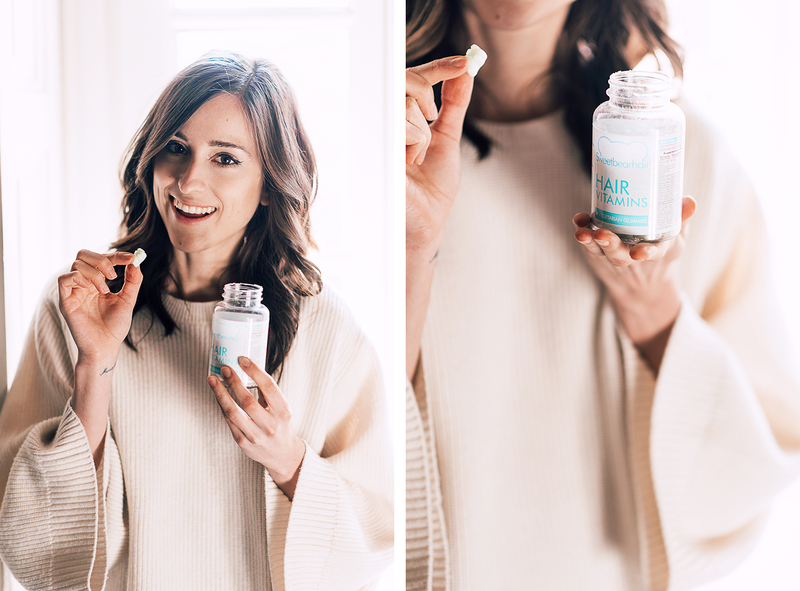 So I was a little bit hesitant when I was first introduced to Sweet bear hair, a really popular hair vitamins. Well, the first thing I noticed when I first tried them, was how insanely delicious they are! Not only they look like gummy bears, they genuinely taste like them as well! 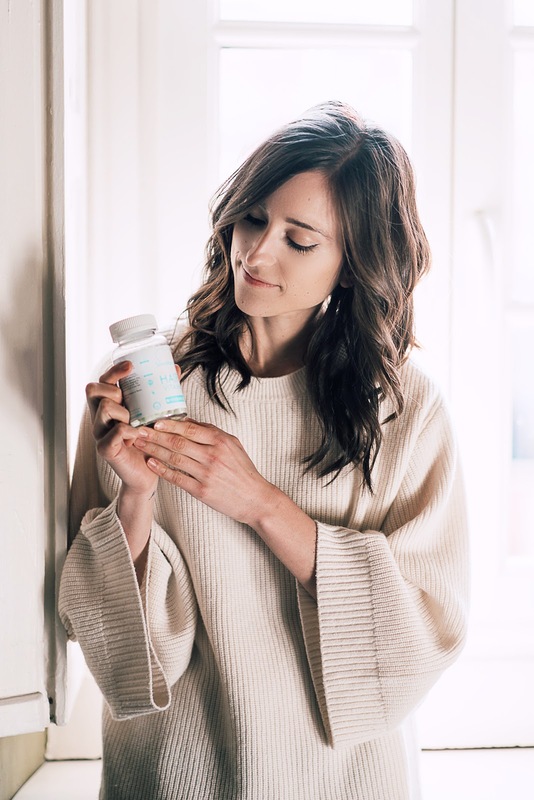 So for someone like me, that has never used any vitamins before, this was definitely a perfect way to start, as it feels like you are eating candy, rather than actual pills. 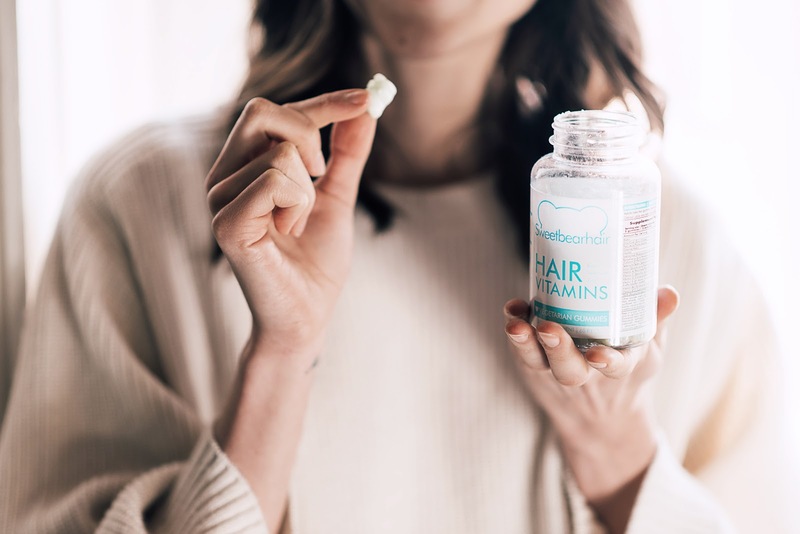 To sum it up, Sweet bear hair vitamins consist of biotin (also known as B7) which is their key ingredient, known as one of the most important vitamins for hair growth and healthy hair, mixed with other vitamins and minerals (check them out here) for a really powerful combination. 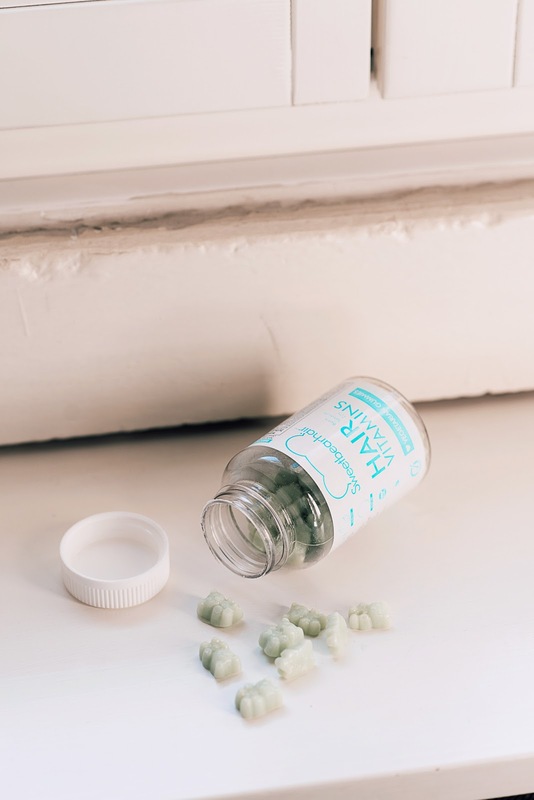 I've been taking Sweet bear hair for a little more than a month now, which was actually one of the most stressful months of the year, as I was travelling for most of the time. So you can imagine how airplanes, hotels rooms and big cities would normally affect my already dry hair. But the first thing I noticed, my hair is actually doing okay! Or should I say great! When I say I have dry hair, I mean really dry, so using different oils especially on my ends is pretty crucial! Well guess what, for the last couple of weeks, I've been actually able to skip that routine, without changing any shampoos or conditioners, but taking these sweet bears everyday. My hair looks much more shiny, I definitely noticed that is so much more hydrated, it's more elastic and waaay more easier to style. I haven't noticed a huge change in hair growth, but to be honest, I didn't really expect that after just one month of taking them. And for what is more, I'm so pleased with the results so far, a little bit of extra length would be just a bonus for me! So if you were deciding if you should try them or not, I'd definitely say give it ago, as there's nothing really you can loose. You might get even better results than I did, but if nothing else you are left with delicious vitamins that are good for your health anyways! It is great that you have had a great experience with these hair vitamins. I imagine they especially come in handy because you travelled a lot in that period and that can be stressful for hair. I'm not taking and vitamin or food supplements at the moment, but I'm open to it. Maybe some day.